Life is hard for people with low and irregular income streams in developing countries. Under these circumstances, opportunity cost for your time and money weighs in heavily. The implications of losing time, or losing money usually mean that you are not able to buy food for the day, or worse even that you need to somehow expand your debt to be able to survive. With such a burden of consequences, you can imagine that the prevalent uncertainty fundamentally influences the way in which this demographic makes its choices. One of the affected key factors in making a choice on spending time and money, or supporting choice making, is trust. Just taking someone’s word that something will turn out well is probably not a good bet. This is because the uncertainty of something not turning out as expected comes fully at your own expense. This burden won’t be shared. Hence trust is hard to come by. Lack of trust has huge implications for delivering value in the markets we’re discussing. Products or services should be sure to deliver exactly on the promised value in line with what the customer would expect. If they don’t, then you won’t be a business. Companies seeking to target these customers need to put a lot of effort in to mitigate uncertainty to the consequences of the customer’s choice, way more than we’re used to in predictable developed countries. Trust, what is it good for? 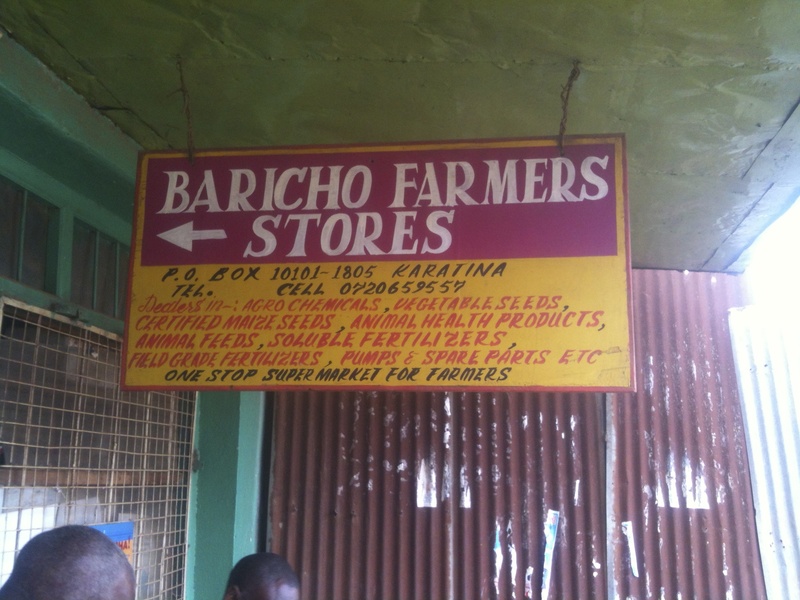 An example of a successful business, which leverages trust is the Baricho Farmers Store in Karatina, Kenya (One stop supermarket for farmers), which I recently visited. The lady running the store told me that when she gets new varieties of seed, she will test them on her own farm herself first. So what would we need to take into consideration when creating trust on delivering value as effectively as the Baricho Farmers Store? Radical usability and applicability are important. These ensure that customers get what they pay for, which in itself provides for a basis of trust. 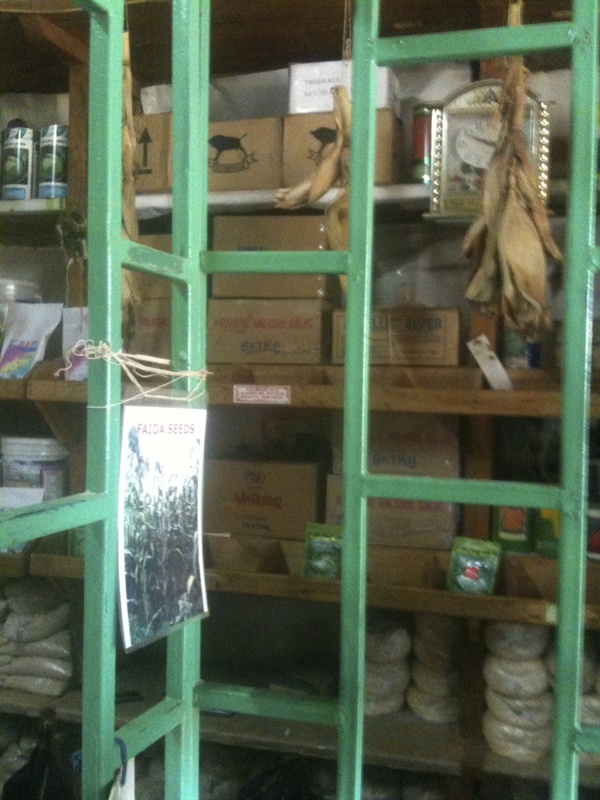 Under the assurance of usability and applicability, customers might even pay a premium if a really relevant problem is solved (again the Farmers Store is a case in point for this; not the cheapest, but it is the best). If you provide these sources of verification, and customers get what they pay for, then you’re effectively creating trust. In the worst case your customers will be able to discuss defective products with neighbors as a check (“Did you see the picture and the cobs in the store?”, “How are those seeds working out for you?”, etc) These sources of verification will thus ensure that lemons are sorted from the market as swiftly as possible. Under such levels of verification, the resulting trust might even bear witness to customers knowingly forgoing a meal to acquire the value of your product or service. Lack of trust and its origin is rarely recognized enough when marketing products and services to people with irregular income streams, living under conditions of uncertainty. I would conjecture even that lack of exhibiting trust is the factor which most often causes failure in value delivery in emerging markets, even if the proposition itself, in essence, would be perfect. What this means for organizations like (social venture) startups, multinational corporations, and development projects, seeking for a position with the lower income brackets in emerging markets, is that they need to design new business models that convey trust by allowing customers to easily verify a product’s value through multiple channels. Positive intent alone will not suffice. Reblogged this on value chain facilitation.